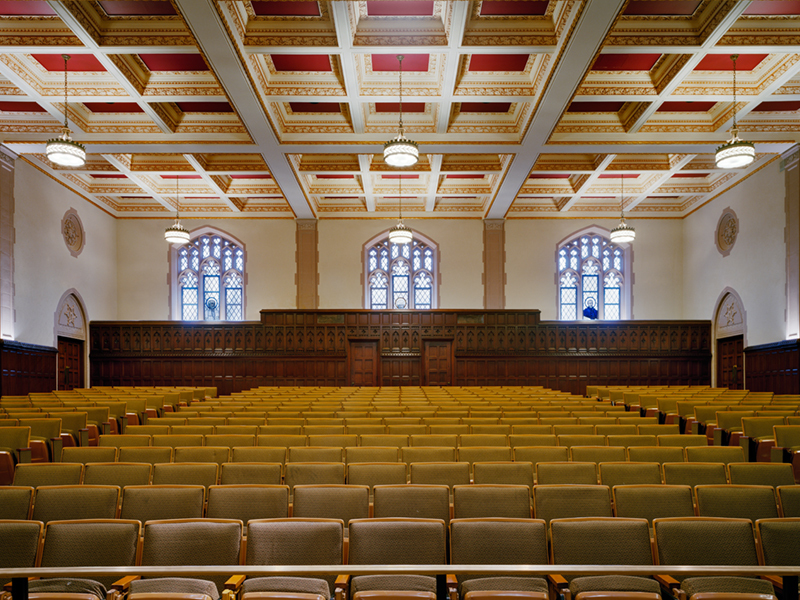 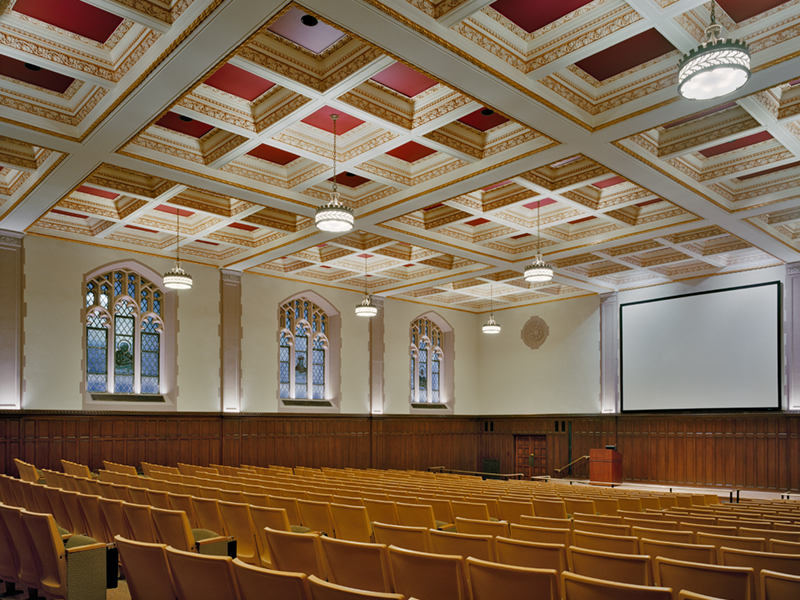 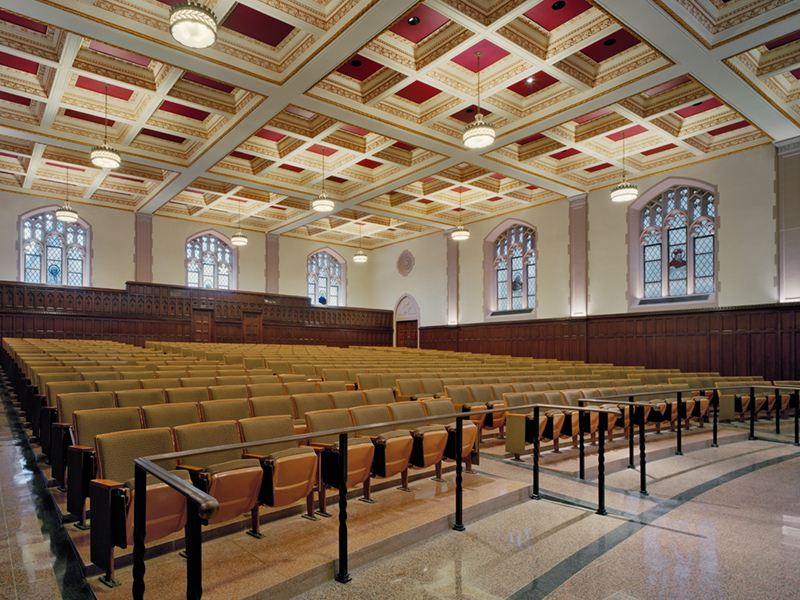 VBA was retained to renovate the Fordham University Keating Hall Auditorium. 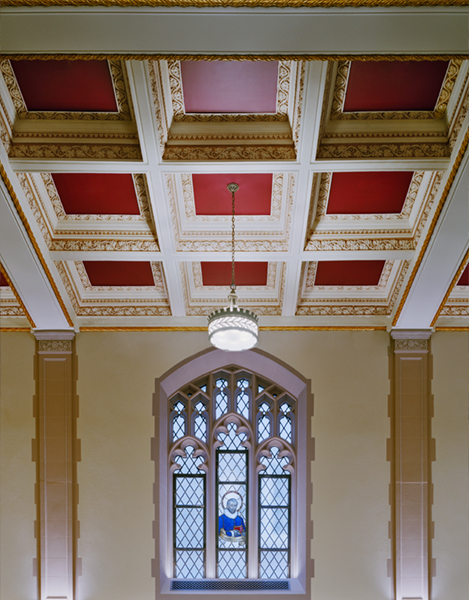 The project included the complete restoration of the wood paneling, coffered ceiling, stained glass windows, and terrazzo floor. 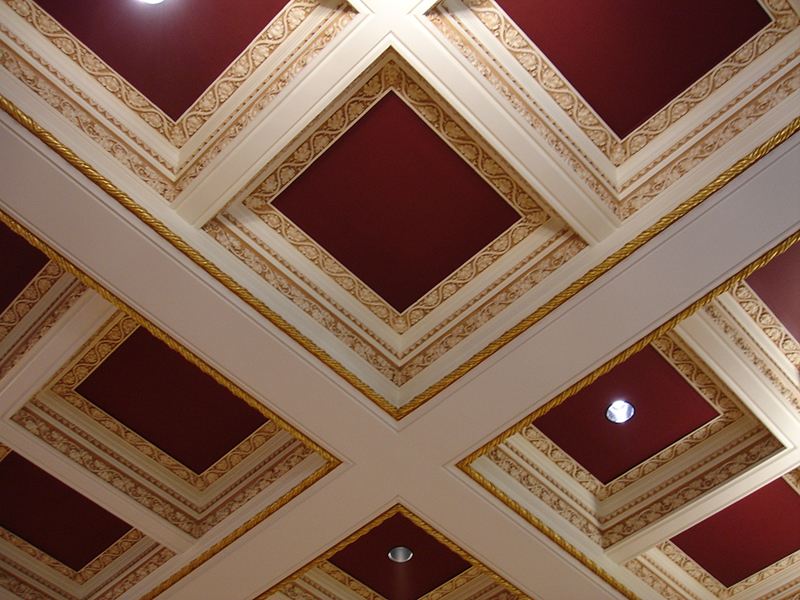 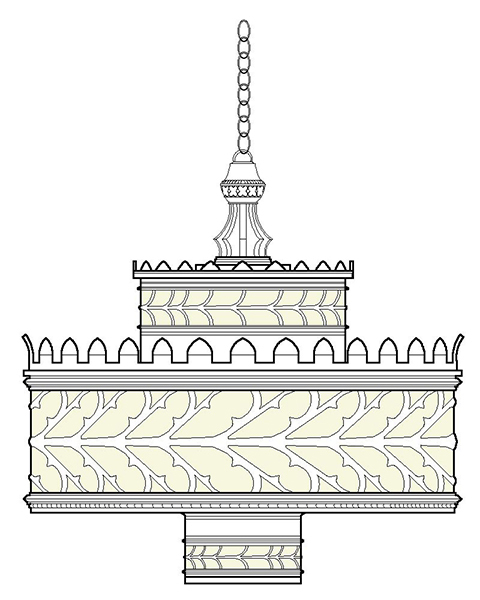 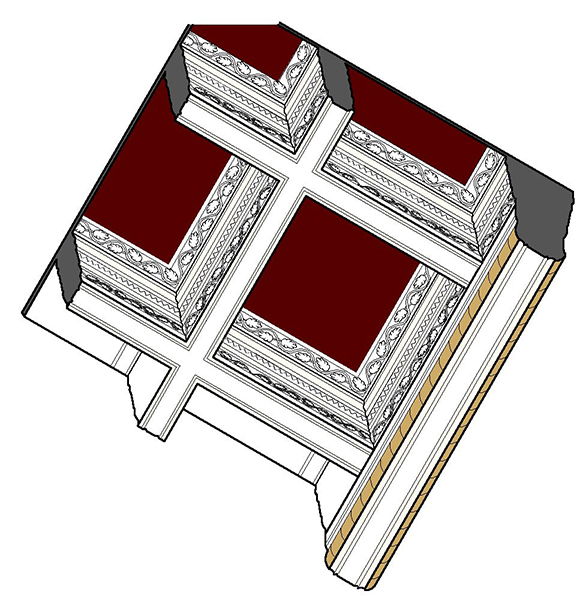 The coffered ceiling was repaired and brought to life through decorative painting. 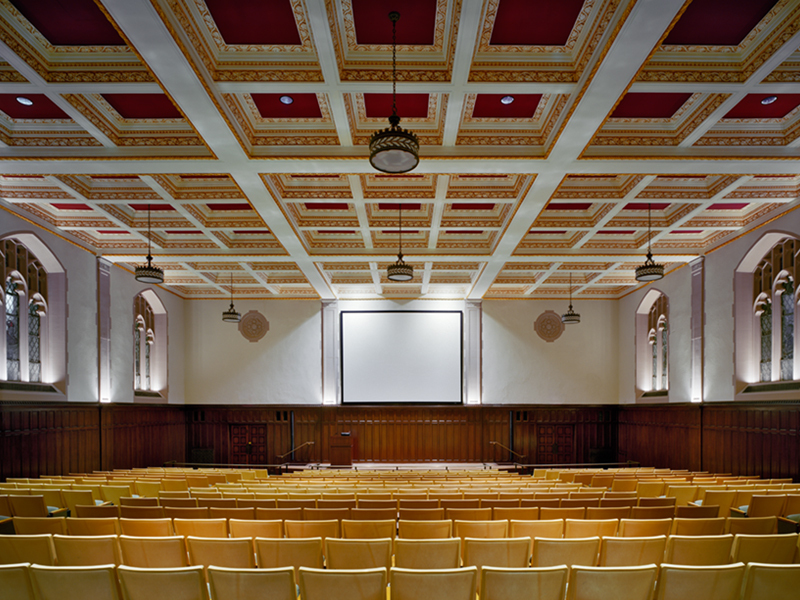 A new projection booth and stage were designed to accomodate a state of the art audio visual system. 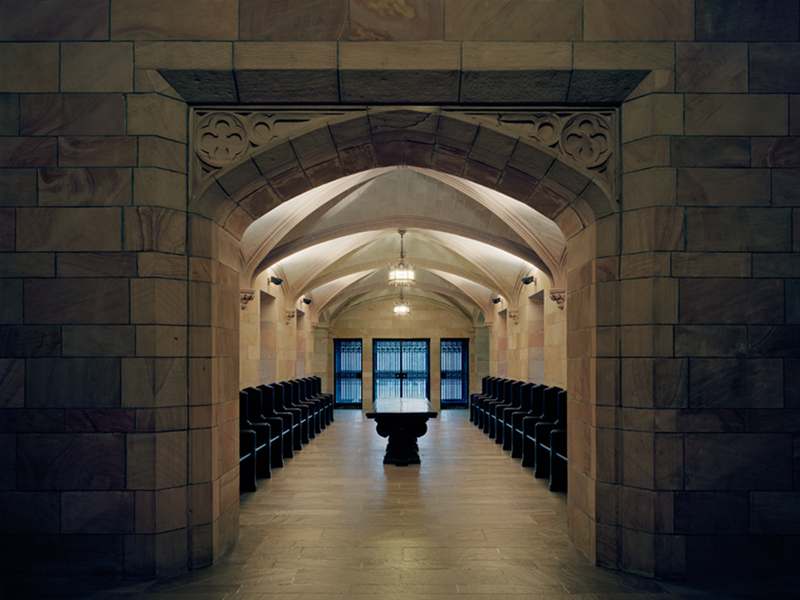 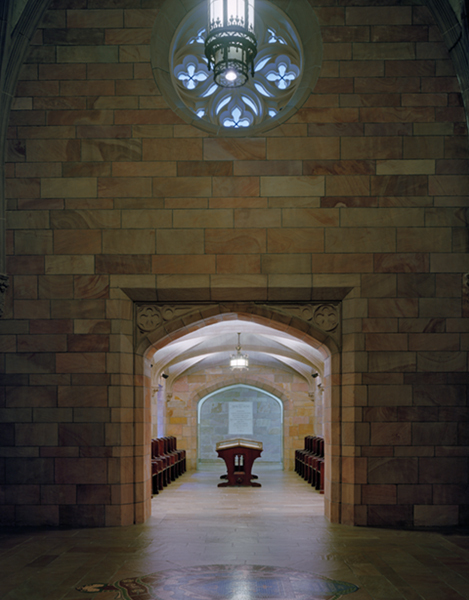 The scope of work also included the cleaning of the Entry Foyer's vaulted plaster ceiling, stone walls and floors as well as restoration of the lighting fixtures.